Curious about estate planning but don't know where to start? Then check out the slideshow below to learn the basics about estate planning. (Click the bottom right corner for full-screen). To determine what estate planning documents are best for you, or to answer any of your Estate Planning questions, call J. Cutler Law for a free consultation at (801) 618-4469 or contact us online. How Do I Know If My Estate Is A Small Estate? Not all estates need to go through the probate process, and not all estates need to be written as trusts. For many individuals who do not own a significant amount of property, the small estate procedure will assist heirs in resolving outstanding estate issues. Small Estate procedures were created to assist heirs in obtaining the deceased’s property and assets without the lengthy process of probate. Small estates can also be done relatively quickly while keeping both time and costs low, both of which appeal to those involved. Small estates can be completed through affidavits executed by either the spouse or heirs of the deceased. They give the affidavit to the holders of the deceased property to get the property. In certain states, you must present the affidavit to the Court first before going after the property. In Utah, if the value of the entire probate estate does not exceed $100,000, the estate is considered a “small estate,” and it can be closed within thirty days after the death. 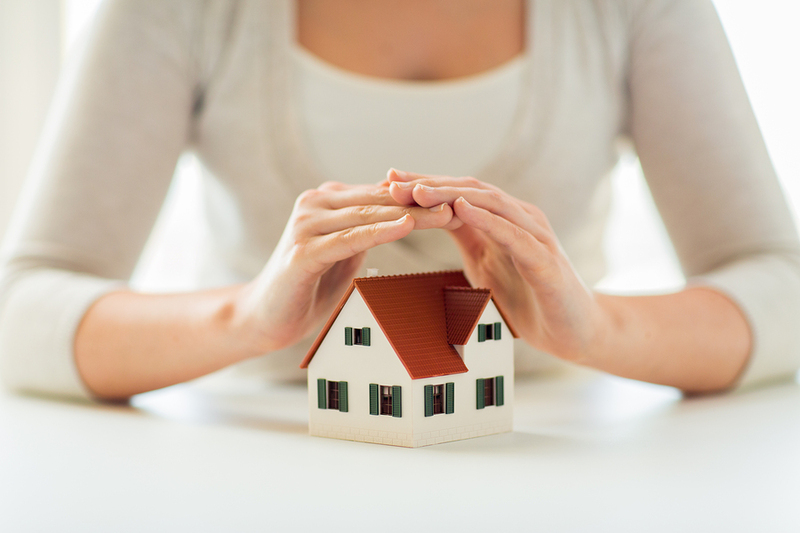 Small estate procedures can happen with or without the will. All that matters is the total value of the property involved in the estate. To determine the value of the estate, it is recommended you make a list of all of the deceased’s assets. Come with an accurate value as best you can with respect to the various assets, and if you are unclear on certain line items, attempt to get an appraised value. Certain assets are not included in this list, including property in joint tenancy, retirement plans, payable-on-death (POD) accounts, real estate transferred through a transfer-on-death deed, or a transfer-on-death brokerage account. Life insurance proceeds are similarly excluded from the list of assets. The spouse or heirs need to file out a simple affidavit and wait for a 30-day period before distributing the assets. The small affidavit can be used to collect property, except real property, if the deceased living in Utah at the time of death or his property was located in Utah; the person signing the affidavit is a surviving spouse, child or heir of the deceased, or if this individual is named as a beneficiary in the will; the person who signs the affidavit is entitled to receive the deceased’s property, 30 days have passed since the death of the decedent; no one else is appointed or is seeking to be appointed as personal representative in any state; and the deceased’s estate value is not more than $100,000. Summary Probate Small estates can be subject to a summary administrative procedure. If, after look at all property and appraising the value of the estate, minus lines and encumbrances, it does not exceed the homestead allowance, exempt property, family allowance, costs and expenses of administration, reasonable funeral expenses and any medical and hospital costs of the deceased’s last illness, the personal representative can distribute the assets without giving notice to creditors. The personal representative then files a sworn closing statement with the court stating the nature and value of the estate assets, the value of the estate, any debts that were outstanding as part of the estate, and a statement that the personal representative has fully administered the estate, paying off needed debts and disbursing the assets. A closing statement needs to be given to all beneficiaries and creditors showing that their claim has been satisfied in full. To determine if assets are classified as a small estate, or to answer any of your Estate Planning questions, call J. Cutler Law for a free consultation at (801) 618-4469 or contact us online. You may hear a lot about probate assets and non-probate assets and not understand what the terms mean and why the difference matters. Whether an asset is probate or non-probate affects how quickly you get the asset as well as the oversight needed to distribute the asset to the rightful beneficiaries. Assets that do not have to go through probate can be transferred to beneficiaries much more quickly. Probate can take months, if not longer, depending on the complexity of the estate. Often beneficiaries will need assets and funds quicker than that time will allow, and these non-probate assets help make this possible. The probate process is required for any property that was solely titled in the name of the deceased person. For instance, if the deceased owned real estate or a car titled only in his or her name, that property would be handled via the probate system. In addition, if property was owned as “tenants in common” with a deceased person and another individual, that portion of the property owned by the deceased would be handled via probate. All this property goes into the “probate estate,” and this will be handled by the personal representative or executor, as well as the Judge in the probate court. Many choose to hire an attorney to assist with this process, as well as an accountant for purposes of estate taxes, should those apply. Not everything goes through probate. Many assets can be handled without filing a single document in court, if done properly prior to the deceased’s death. For instance, if the deceased is married and owned most of his or her property jointly with his or her spouse, that property would quickly pass onto the spouse upon the passing of the deceased. Living trusts are the most common method people use to avoid having their assets go into probate. Trusts are created giving the Settlor (i.e., you) the power to modify or change as many times as you wish during your lifetime, and then, upon your death, the trust is under the control of the Trustee, someone you name specifically within the document to handle your assets and debts, as well as any outstanding affairs that need to be handled before the trust can be closed. These assets are not taxed under estate taxes and can be distributed quickly outside of the court system. The caveat to trusts, however, is once the document is created, you will need to change legal ownership of your property to “The Trust of ‘X’.” Otherwise, you are walking around with a document that holds absolutely no power over anything you own, and all your assets will go to probate in the end. Life insurance proceeds are out-of-probate assets that go directly to the beneficiaries listed on the accounts. Some people choose to list the estate as the beneficiary of a life insurance policy, though this somewhat defeats the purpose of having a non-probate asset like this. Retirement accounts, IRAs, 401(k) accounts, and pension plans all have beneficiary designations, and these assets also go outside of probate. Any property that is held in joint tenancy with right of survivorship or property that is owned in Securities registered in transfer-on-death form, funds that are available in a pay-on-death bank account, U.S. saving bonds that are also registered in a pay-on-death form, or real estate that is valid on a transfer-on-death deed are also handled outside of probate. If you have registered your car or boat in a transfer-on-death form, this asset would be dealt with outside of probate. However, this option is limited only to a handful of states. At J. Cutler Law, we offer free probate consultations for you and your family. We can help you decide what trust best fits your family’s needs. Call us today for a free consultation at (801) 618-4469 or contact us online. If you're like most people, you understand that estate planning is a good idea. You know that an estate plan ensures that your property goes to the right people and ensures your children are properly taken care of. Although you probably understand the importance of estate planning, you know it's all too easy to put off actually sitting down and making your plan. If you can relate, then what better time then the New Year to resolve to actually finish your estate plan? While you may already have several New Year's resolutions swirling around in your head (or better yet already written down), a resolution to prepare your estate plan is a realistic goal that can be achieved by anyone. Without an estate plan you do NOT get to decide where your property goes when you die. Instead, state law determines who gets what. This may be the number one reason to do your estate plan. Even if you are not wealthy, you can still prepare a simple will or living trust to ensure your property is transferred to the people you want. If you have young children and die without an estate plan then state law also determines who is the personal guardian of your minor children and who is the financial manager of their inheritance. This is why you'll want to ensure that your children are taken care of according to your wishes. In your will, you can name guardians to raise your children and managers to look after their inheritance. If you ever become incapacitated you will want to ensure the people you trust make important decisions for you instead of a court order or court appointed receiver. Part of estate planning is preparing for what would happen if you ever become unable to make medical and financial decisions for yourself. This can be done through a health care directive and a durable power of attorney. These documents can save your family much heartache. Probate is the court process for wrapping up an estate. It's often time-consuming and expensive and rarely provides any benefit to the beneficiaries. With a little estate planning you can keep most or all of your estate out of probate, saving your loved ones time and money. For the year 2017, if you pass away and your estate is worth more than $5,490,000 then your estate will be subject to federal estate taxes. If you already own this amount, or plan to eventually, then you will want to use your estate plan to reduce the tax that your estate could owe after your death. Hopefully these five reasons encourage you to make estate planning part of your goals for the New Year. Estate planning may seem overwhelming and time-consuming but it does not have to be. Keep in mind that many people need only a simple estate plan. You may even be able to prepare all your documents yourself. Or you might discover that having a lawyer do all the work for you is easier. Either way, planning your estate is a worthwhile goal that you can achieve this year. To start, get a free consultation to discuss what is best for you.